Night temperatures have risen in recent weeks and it’s surprising how hot my greenhouse is when I open it up at 7am each morning. It is now safe to leave windows and/or vents open over night as well as during the day. Even out high day temperatures by wetting all hard surfaces. This will raise humidity and keep things cooler. On very hot days this may need to be done several times. Netting or shade paint will keep direct sunlight off of plants and help to make damping down more effective. Both have pros and cons – removing shade paint at the end of the season is a messy and laborious task. Shade netting is easy to work with but beneficial insects can easily become trapped between the netting and the glazing. 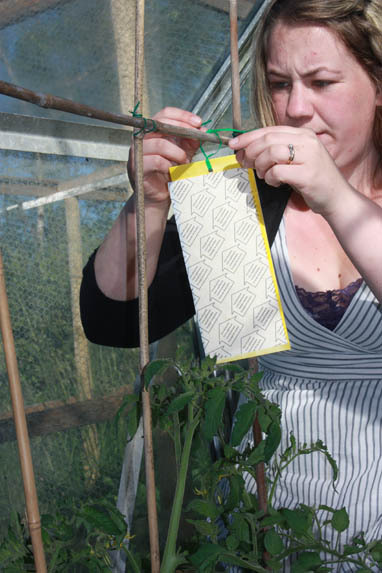 Place yellow sticky traps just above plants to monitor pest species and population levels. Then choose the appropriate treatment to deal with them, be it chemical, cultural or biological. Watering should be done twice daily to prevent composts drying. 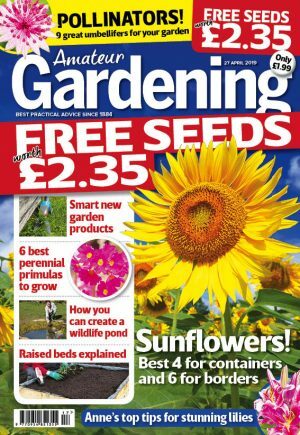 Most fruit and veg crops will need a weekly feed now too. Use high potash mixes in most cases. Fast acting foliar feeds are great for keeping ornamentals looking healthy.